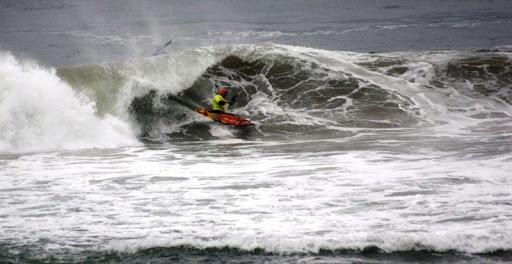 As the tide started dropping the wave started shaping up. 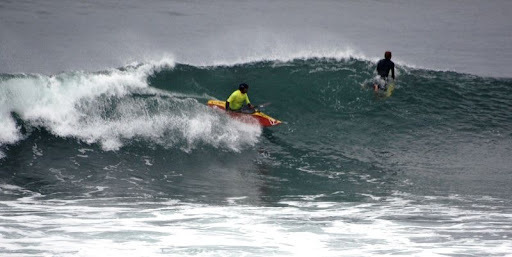 From early this morning everyone that had travelled to Mundaka knew that today was going to be classic, that will be talked about for a long time. Big hits were the order of the day. 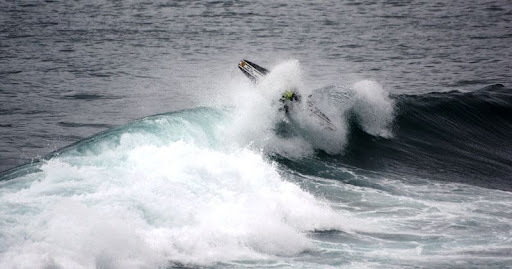 Some fantastic surfing was witnessed by the spectators high on the cliffs. 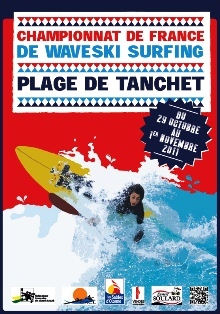 Big respect to all the juniors from Basque country and Northern ireland who were probably catching the biggest waves of their lives. 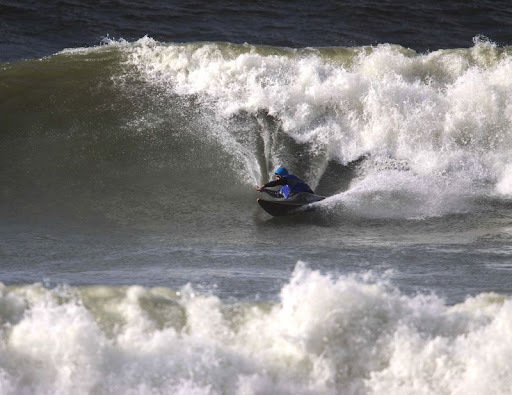 The contest ran for around 5 hours and the mens open class is down to semi finals the mens IC is at the final and the junior open is also at final. Here is some of the 300 pics taken by Gerry Mc Gahey. There were a lot of other photographers here today so im sure more excellent pictures will appear in the next few days. Thanks Dessie and Gerry! All the best for the finals! 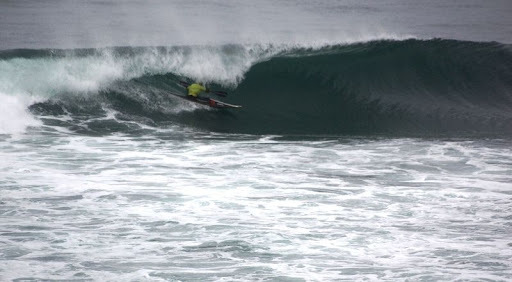 "Today (friday) we surfed Mundaka in the morning and it was small, every 15/20 mins a 3 wave set would come through which gave some good fast rides. 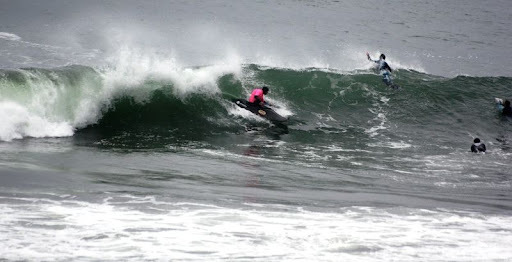 We went over to Sopelana in the afternoon for some bigger waves created by a strong onshore wind. I have sent you some pics of our Juniors Jake king is in the Relfex, Andy McClelland is in the red Neutron and Corin King is in the green Neutron. All the pictures were taken by Gerry McGahey." Thanks Dessie and Gerry! Good luck for the event! 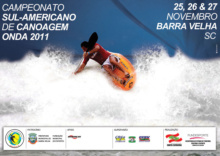 Boas ondas e vamos esperar pelas novidades da W-Team! 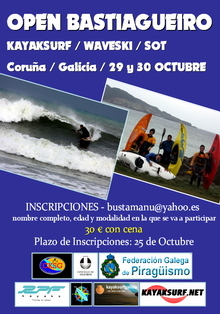 Depois de Marrocos, a W-Team ruma agora até ao País Basco para participar no Campeonato de Kayaksurf de Mundaka. Rui Calado enviou-nos a lista dos w-raiders: Bruno Melo, André Pinto, Nuno Borges, Pedro Castro e o mais recente elemento da W-Team: Francisco Saraiva. Boa sorte pata todos e tragam a taça!! 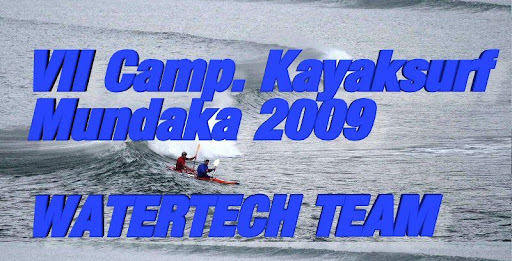 After Morocco, Watertech Team is now in Basque Country for this year Mundaka Kayaksurf Championship. 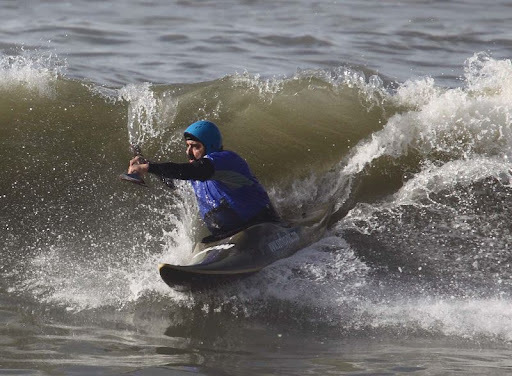 The W-raiders are Bruno Melo (National Kayaksurf and Waveski Champ 2008), André Pinto, Nuno Borges, Pedro Castro and Francisco Saraiva - the newest member. All the best for the comp!! Obrigado Rui e boa sorte para todos!! 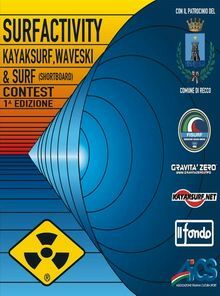 MUNDAKA KAYAKSURF CONTEST STARTS TOMORROW! 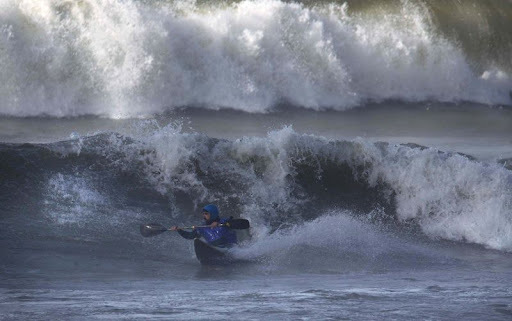 É uma das mais conhecidas prova de kayaksurf da Europa e é lá que muitos dos maiores craques do kayaksurf actual disputam heats e enfrentam a poderosa onda (quando funciona!). 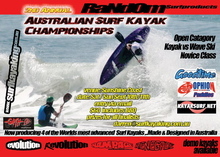 O kayaksurf.net já apoia o evento há vários anos e, apesar de não podermos lá estar este ano, os reports já começaram a chegar. 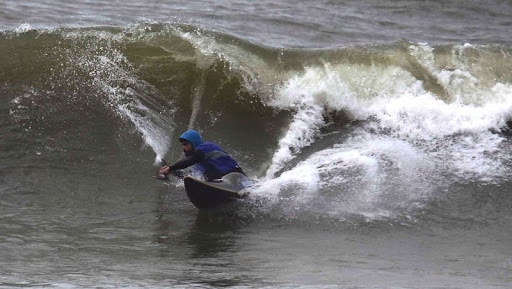 Dessie McGlinchey, Northern Ireland Team, diz-nos que ontem, quinta feira, não havia ondas em Mundaka mas que, para este sábado, estão esperadas ondas de 2.4 mt!! O team norte-irlandês está a competir com 3 séniores - Jonny Bighnam, Gerry e Dessie - mais 3 juniores: Corin King, Jake e Andy. 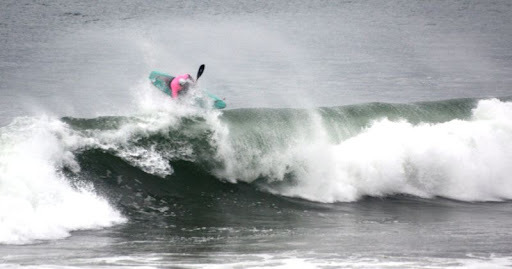 Ficam algumas fotos de Oskar martinez (elemento da organização da prova) a surfar em Bakio (perto de Mundaka). 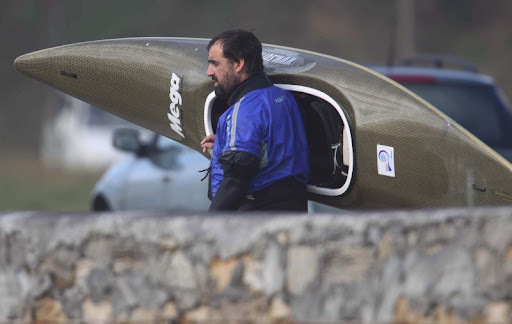 As fotos são de Juan Lazkano - olasdevizcaya.com. 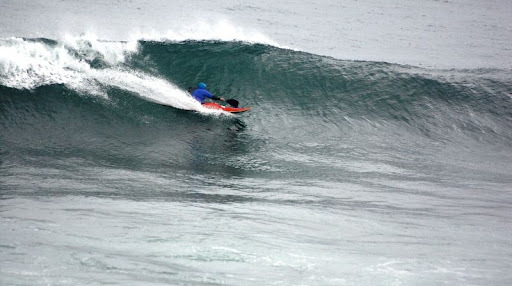 Dessie McGlinchey (Northern Ireland Squad), is alreday in Mundaka for this year comp. Yesterday there were no waves but, for tomorrow is expected a great swell. 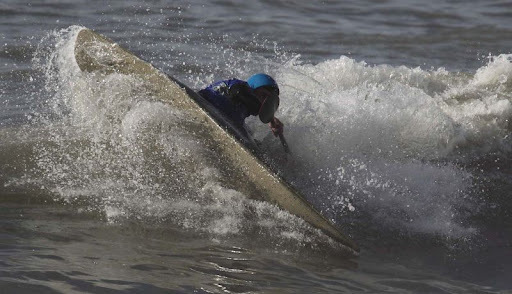 Here is the first report and then, some photos with Oskar Martinez surfing in Bakio (photos by Juan Lazkano - olasdevizcaya.com ). 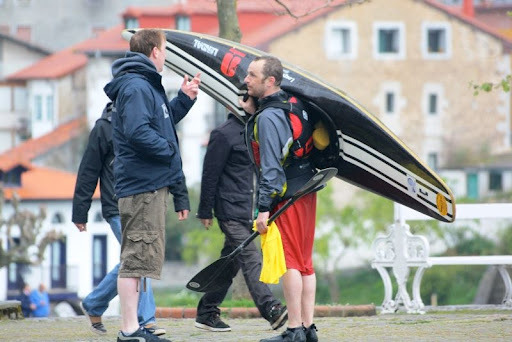 "Well we arrived in Mundaka today (yesterday, thursday) and there was no waves. 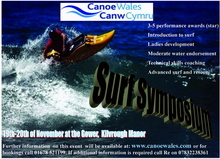 We are hoping there will be a small wave a low tide in the morning. 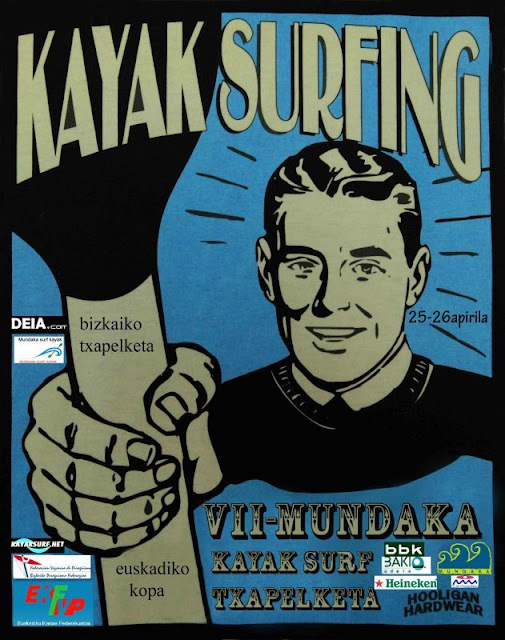 The forecast for sat is for up to 8ft on the face, so for once there will be something exciting to report from Mundaka. 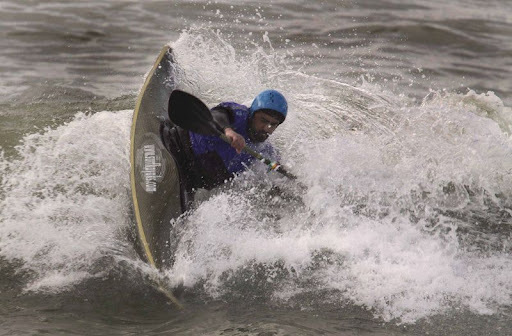 (...) There are six paddlers from NI over for the contest. 3 seniors and 3 juniors. Jonny Gerry, Corin Jake Andy and myself. Dessie"
Thanks ot Dessie and Oskar!! 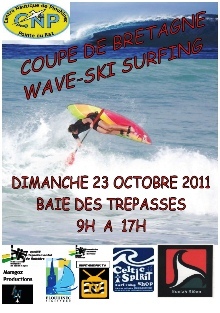 All the best for the comp!! 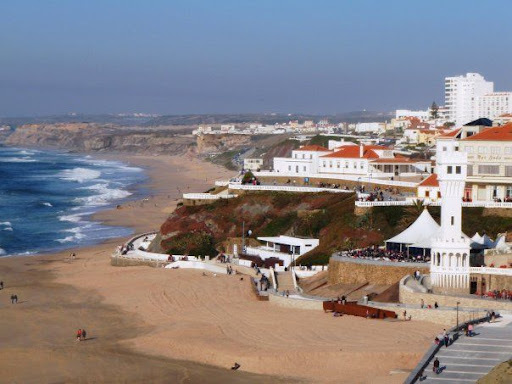 Individual registrations for the Worlds in Portugal are already available on the official website. 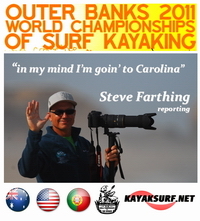 Click on the image below, and check the three skills: "kayaksurf world" and two classes for the portuguese circuit. Good luck!